Some Kidde alarms may be defective and fail to alert consumers of a fire or a CO incident. 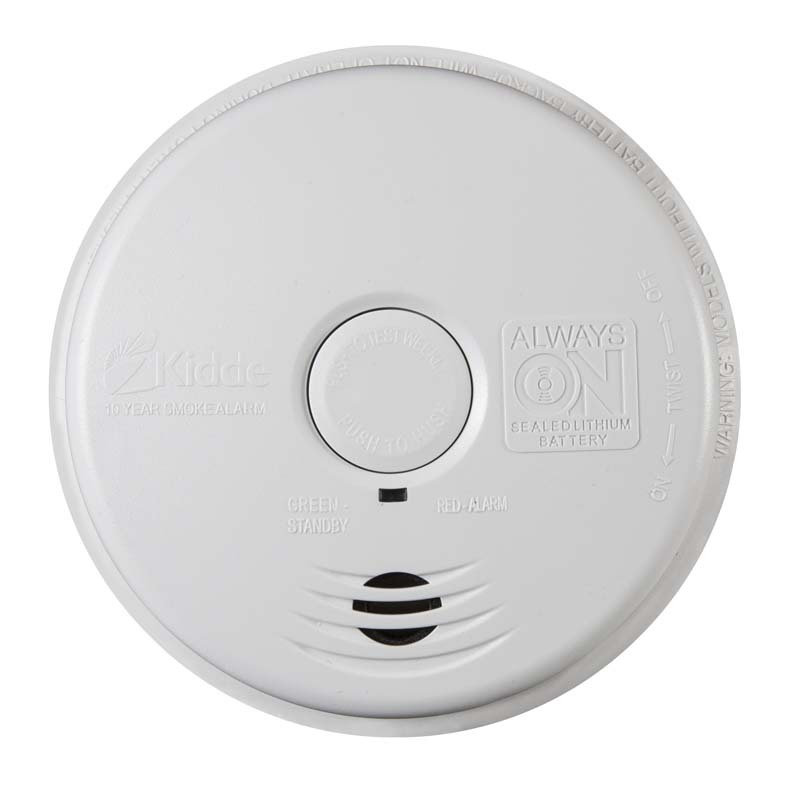 Kidde residential smoke alarm model i12010S with manufacture dates between December 18, 2013 and May 13, 2014, combination smoke/CO alarm il2010SCO with manufacture dates between December 30, 2013 and May 13, 2014, and combination smoke/CO alarm model KN-COSM-IBA with manufacture dates between October 22, 2013 and May 13, 2014 are being recalled by Kidde. The defective alarms are white and round (see picture) with the name Kidded engraved in front of the alarm. These alarms were sold at major retail stores such as Home Depot and also online through Amazon and other online retailers. Consumers who own this product should immediately contact Kidde to have it replaced.